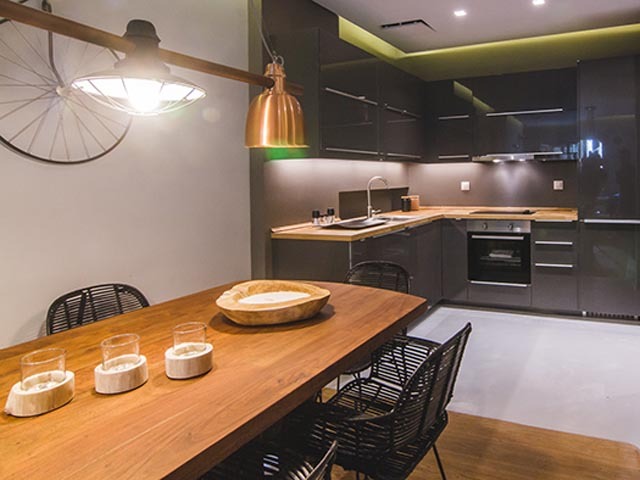 Open: All year ... Athens Boutique Apartments have been created to enhance modern urban living in the mythical city of Athens. 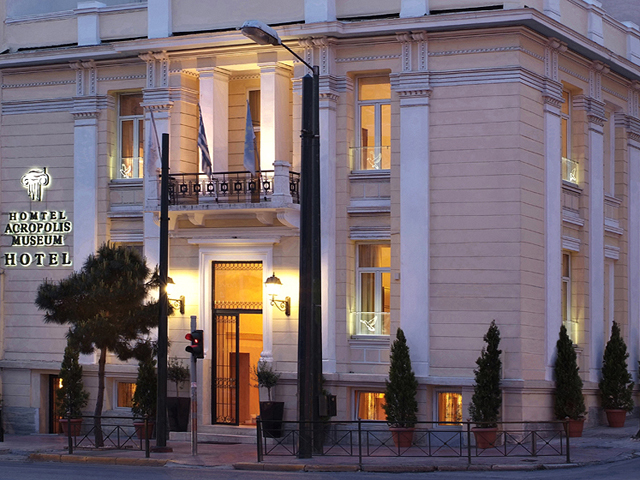 Open All Year... Amongst the most convenient hotels near Syntagma Square, Achilleas 3 star Hotel in Athens is a family friendly establishment in a quiet, picturesque street near Plaka. 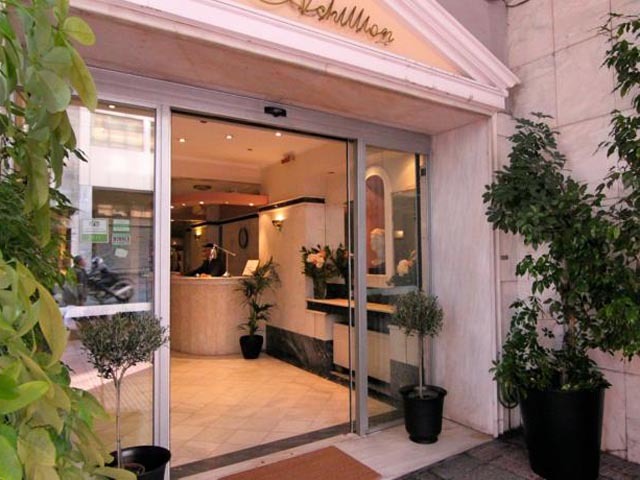 Open : All Year ...... Achillion Hotel is a 3 star family hotel located in the heart of Athens center, ideal for business and leisure travel. 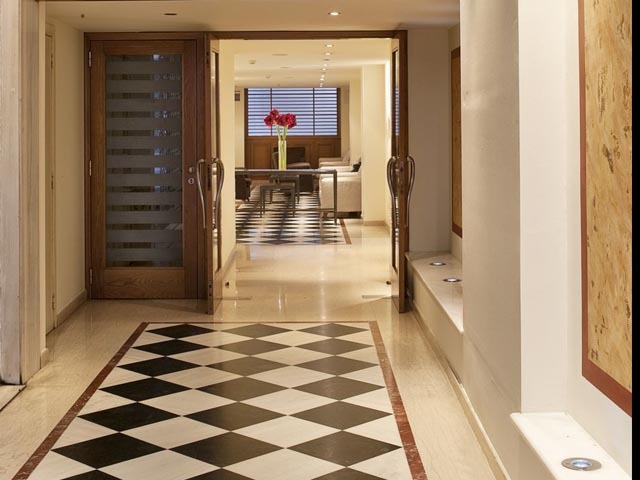 Only a few minutes walking distance from Omonia central Metro station. 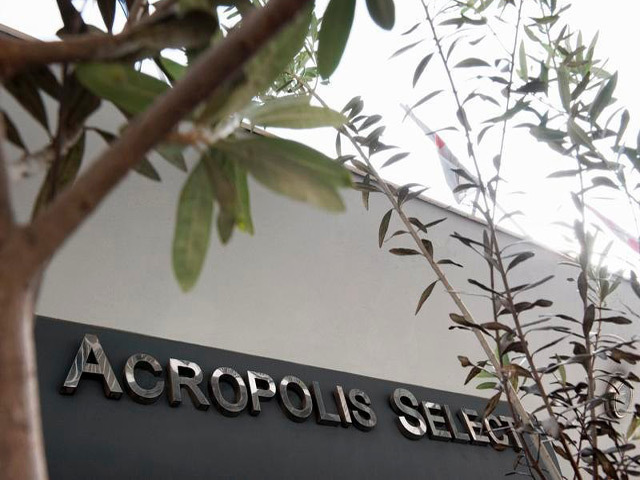 Open: Year Round....Acropolis Ami Boutique Hotel is ideally situated in a peaceful setting and only 15’ walking distance from the Acropolis and the New Acropolis Museum. 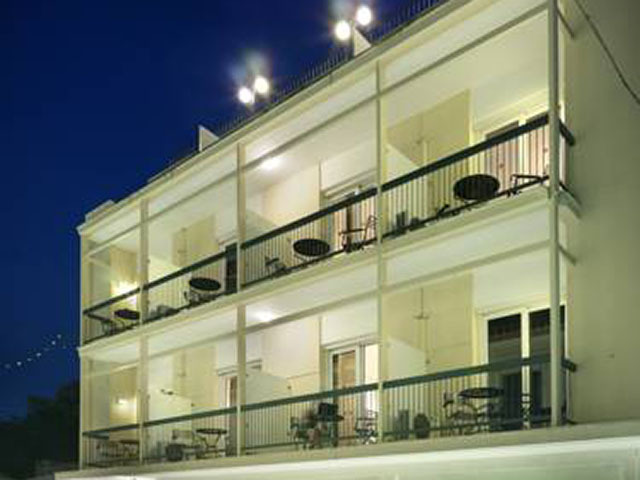 Open Year Round...Offering contemporary facilities and hotel rooms near Acropolis & Plaka, most of which feature Acropolis View from their private balconies, the 3 Star Hotel in Athens is the ideal choice for a relaxing stay in Filopappou. 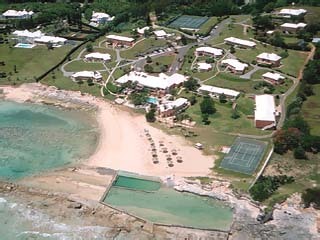 Open: All year ... 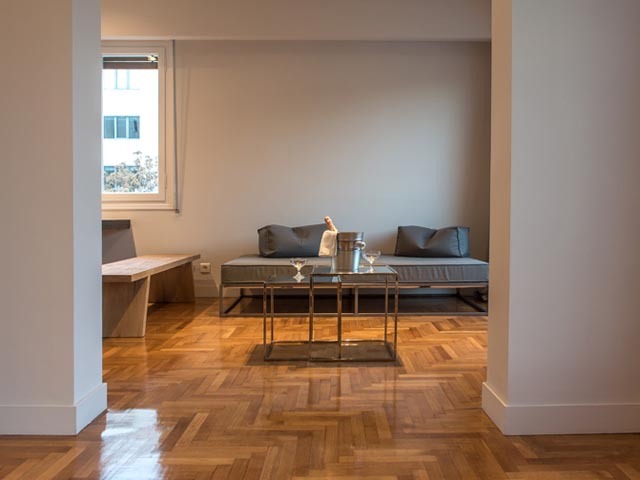 Right on one of the most famous sidewalks all over the world under the Acropolis and on a short walking distance from the Acropolis Museum and the traditional areas of Plaka, Thisio & Monastiraki, the Athens Luxury Apartments is a five star self cater accommodation. 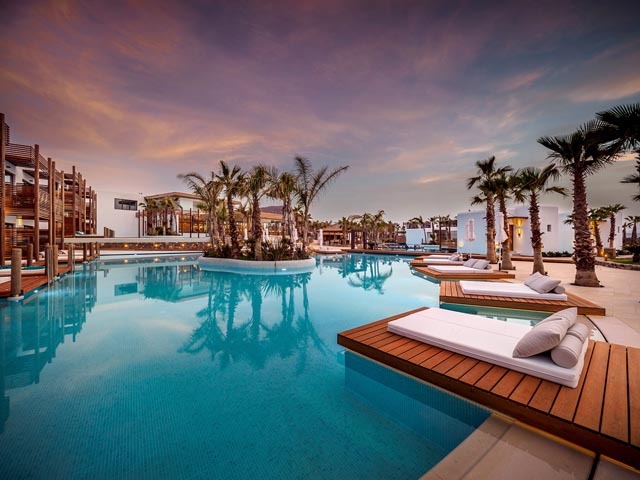 Open All Year Round... 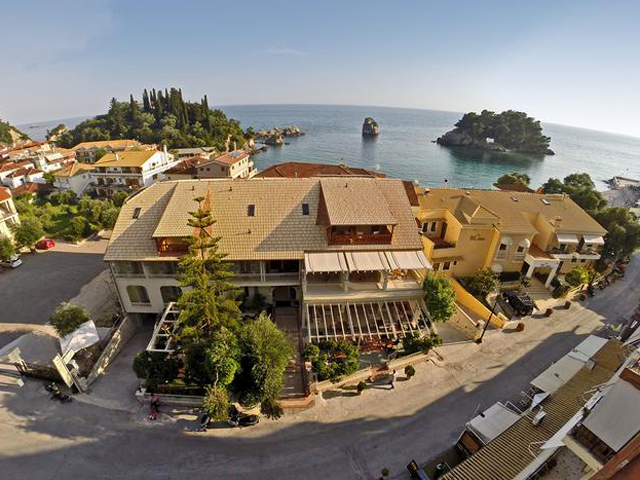 This very special hotel is housed in a classical building that recently has undergone a complete renovation (2007) and has 22 charming rooms divided over the 1st, 2nd, and 3rd floors. 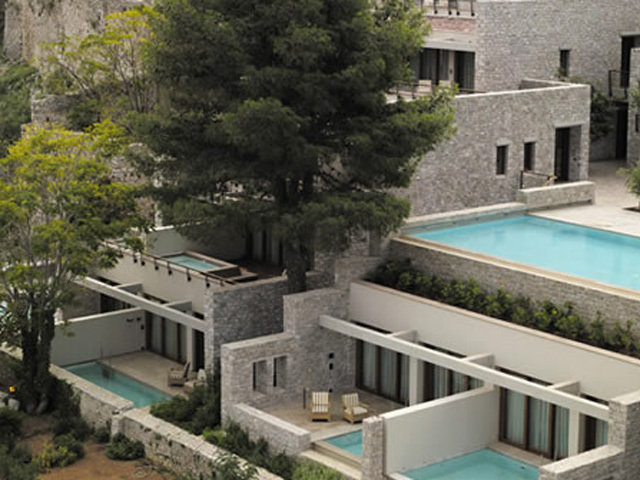 It is located just a few steps from the Acropolis and Plaka, and adjacent to the new Acropolis museum. 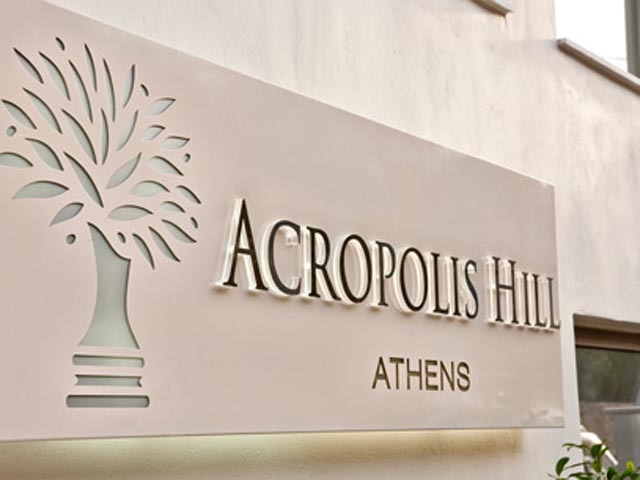 Open: Year Round...Ideally located in the heart of Athens and within walking distance to many of the city’s main attractions, the Acropolis Select Hotel is the perfect place to stay during your next visit to Greece’s capital. 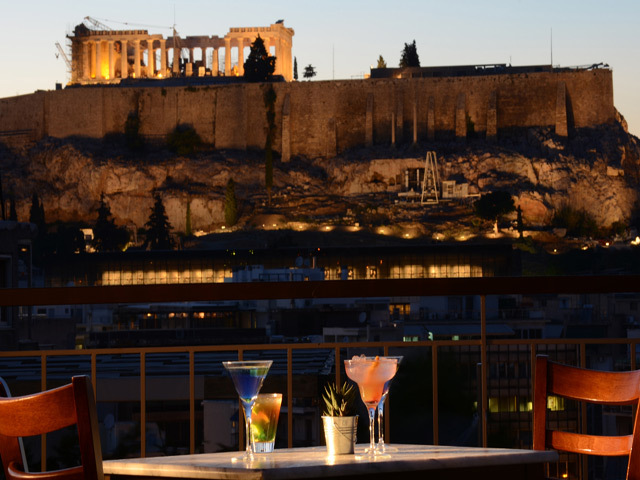 Open: All Year ... Acropolis View, in the heart of Athens, near the most important archaeological monuments of Greece, right in the middle of life, commerce, fun, flavour and tradition, offered quality services to the countless visitors from every corner of the world, every day of the year. 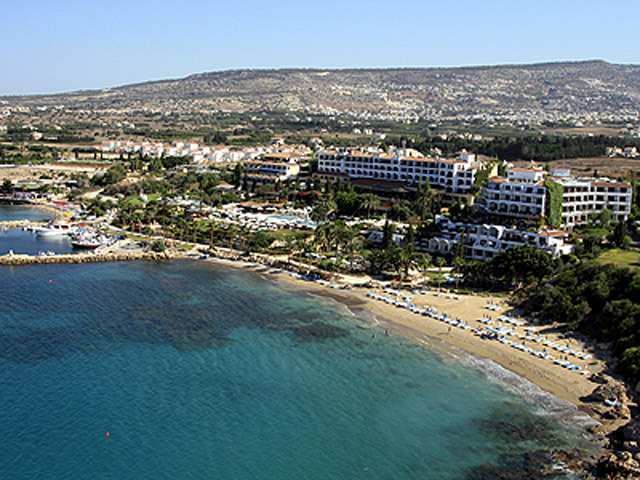 Open: All Year ... 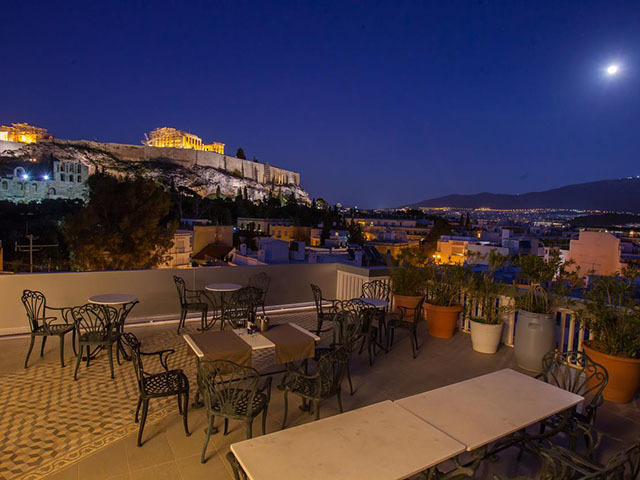 The Adrian Hotel is located right under the hill of the Acropolis and in the midst of the antiquities extravaganza, that make the city of Athens the most important showcase for the classical world.